If it's metal, we can weld it! Allweld Metal Fabrication Inc. can bend, roll, form, shear, waterjet, provide detailed submittal drawings and cut metal for commercial, industrial, residential, ornamental, artistic, and agricultural projects of all types. We’re equipped with the resources and skills to work on any type of metal, and we take pride in producing results that set us apart from the competition. Free consultations and estimates are available, so call today! 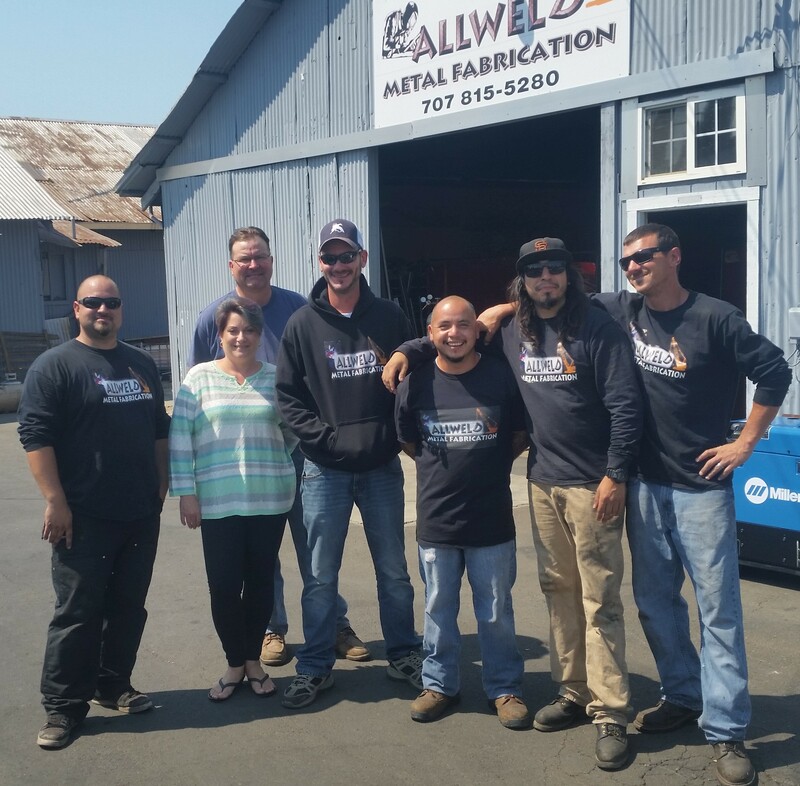 It’s not always easy to find a metal shop that offers the full range of capabilities you might need for metal fabrication in Napa County, CA. Where some shops may only offer CNC cutting or bending and shearing capabilities, Allweld Metal Fabrication Inc. provides customers with a full range of expert welding and fabrication services. create detailed submittal drawings and cut metal of all types, to a superior degree of quality and precision! Rest assured you’re only going to get best-in-class results when you choose our team to assist you in customizing your project. We’re certified to work on all metals. Our shop is local and family-owned, and has been since 2010. We can weld any type of metal! We’re pleased to offer free consultations and estimates on projects. If you’ve got a welding project, we’re the number one source to get the job done right. No matter the metal, no matter the weld, no matter the project, we’re ready to provide you with an estimate.